During Trackmania ProLeague Season 3 the news about a new organization joining Trackmania broke. We saw two former Venture players, Dutchy and MathiCs, changing their ingame tag. Following that, 3 more players have joined the newest organization in the game; Team Sampi. But what is Sampi's reason for joining Trackmania, and what impact does this new entrance have on the game? The man behind Team Sampi is the 22 year old, czech footballer Jakub Jankto. Jankto is currently playing for the Serie A club Sampdoria in Italy. I recently reached out to Jankto to get to know how he felt about Trackmania, and starting a new e-sport organization. The young footballer says the motivation behind starting Team Sampi is to fulfill a dream he has had for a long time. When I was young, I had always dream to create e-sports team. The goal is be absolutely best team in Czech Republic and create one of the best teams in the world. Trackmania isn't the only game Team Sampi and Jakub Jankto has entered as of late. We also see them having a line-up in FIFA, NHL and Rocket League. Jankto himself says that when he has free time, he normally plays PlayStation 4 games like FIFA, NHL and Rocket League. Trackmania on the other hand he played it 4-5 years ago, but may play the game again in the future. Besides this Jankto likes to play Call of Duty. But will he try to launch teams in other games as well? Maybe next year, I'll consider about other games. So if Jankto doesn't play the game, like he does with the other three games, why did he decide to give Trackmania a go? The main reason for this, is the history the Czech and Slovakian players has in the game, and how he has followed that. The World Champion from 2011, hakkiJunior, is from Slovakia. As well as the three times runner-up at ESWC, tween. In the recent years we have the Czech player Kappa, who won Gaming WinterFest 2017 and Gamers Assembly 2017. And he states: “TrackMania is very likeable for me and I think for many people.”. Besides that, the two first players he recruited to the games were not from that region. It instead were two Dutch players. The former Venture players, Dutchy and MathiCs, were the first players under the Sampi banner. So why did he decide to recruit these two players? Dutchy has experience and he can help mathiCs with improvement. They are from the same country which is advantage for them. And not long after, we saw the former Against All authority player Kronos joining the two Dutchmen. The Frenchman who is most known for his success at Gamers Assembly, where the highlight and victory came in 2015. Kronos is one of the best in this game. So I wanted him at all costs. And after my interview with Jakub Jankto was finished, Sampi announced that two more players would join the line-up in tween and Kappa. Tween being the former eSuba player from Slovakia, and Kappa being a former Planetkey Dynamics player from Czech Republic. And how closely will Jakub Jankto follow Trackmania himself? All sections are for me very important. I don't want to make a difference between the games. TrackMania will have most players in Sampi. So I think it's useless to say, how much important is it for me. Most of the players who joined Team Sampi said it's due to the contract offer, and how much Sampi can support them. We have the Giant Cup 2018 and Trackmania ProLeauge Season 3 coming up in Paris, France. Will the players get support for their travel? I'll speak with players about it individually. Anyway all players should be there and everybody will get support. I don't know exactly what kind of contract have other teams but I dare say that conditions what have our NHL players are one of the best in Europe. So why do we see five of the very best players in the game leave their old team for a new one? How do this players feel about the future now and what goals do they have for themselves and for Team Sampi overall? Let's start with Dutchy from the Netherlands. Who in 2018 placed 4th at Gaming WinterFest, and is now looking strong in Trackmania ProLeague. On the Trackmania Podcast hosted by myself, he talked about how joining Venture (former Mysterious Monkeys), and how their LAN support helped him getting motivation back. The reason for him leaving Venture seems to be somewhat the same reason as to why he left A New Era back in the day. Instead of some LAN support, Team Sampi is able to offer him full LAN support, plus more. The reason I joined Sampi is because of the offer he gave me. Full Lan Support and he will make sure we can go everywhere without any restrictions. The next player who joined was MathiCs from the Netherlands. Also him being a former Venture player. In 2018 he attended to both Gaming WinterFest and Gamers Assembly. And most likely we will see him at both Giant Cup 2018 and Trackmania ProLeague at Paris Games Week. Yes I most definitely had a great time in Venture. This was mostly because the community with all the different games is very supportive and warm. However, sometimes you just get very lucky and get a great offer. Considering that I want to go to LANs as long as I have time (and money), and that I knew that Dutchy was leaving Venture for sure, that made me decide to leave Venture. This makes it possible to keep going to LANs with Dutchy as we have become good friends over the years. It certainly was a hard decision, but I feel like this was the logical outcome. Following to the two Dutchmen, is one of the all time greats from France. Like mentioned before with success at Gamers Assembly, with his win in 2015 being the highlight. Along with some deep runs at ESWC. Some of us thought we would never see a time in Trackmania without the triple A in front of Kronos. It is undoubtedly with feeling sad that I decided to leave the aAa family. A new project is awaiting and hopefully, this move will be smart. TM is nearly entering a new era and, from my POV, it might have been the last step to be climbed. Whatever, I had real good times with aAa and I'd like to thank you all for your support, e.g. Chapter, Zid, photographers, writers and everyone I could have met (the forgotten ones will forgive me). I will not forget my win at GA2015 under these colors and this will remain a big memory. I'll be glad to meet you again one day! Another player we thought we would never see leaving his team, is the Slovakian player tween. Being in eSuba for such a long time. Finishing 2nd three times at ESWC, in the years of 2011, 2012 and 2014, it's safe to say that tween is one of the all time greats in the game. So why do we see a veteran like tween leaving for a new organization? 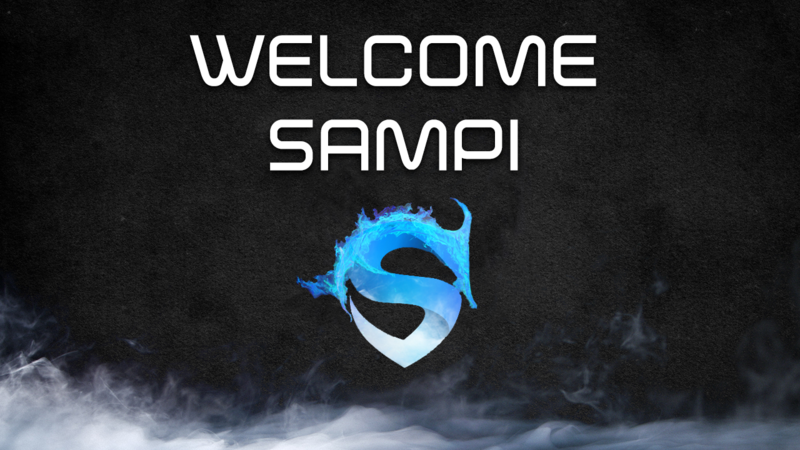 Another former eSuba player who has joined Team Sampi, is the Czech player Kappa. With his most recent team being Planetkey Dynamics. A team where his biggest victories has been achieved, like 1st place at Gamers Assembly 2017 and Gaming WinterFest 2017. However since then Kappa has been inactive, besides Gamers Assembly 2018 where he got 4th. On the Trackmania Podcast not too long ago, Kappa said that you wouldn't see more of him in 2018. So how did Team Sampi change his mind? I received a great offer that made me change my overall decision about TM. You will hopefully see me competing at both of the major autumn events. The fact, that the team is run by a great football player makes me even more excited about the whole thing, as I am a big football lover. I'm happy to announce I am not gone from the TrackMania scene. I decided to retire as a player to become a manager for team Sampi. I strongly believe in this project and I am going to transform our potential into reality as quickly as possible. Our team is focused mainly on LAN events so we are going to attend both GC and TMPL in Paris this autumn. I believe we will do very well there. With line ups in Trackmania getting smaller, and the best players being in different organizations, you could imagine that losing one or two top players might change the team structure, or even make the team disband Trackmania. So what impact has the recent entry of Team Sampi on other teams in Trackmania? And how will the teams recover from losing their top player(s)? I reached out to all the leaders which lost a player to Team Sampi. Venture is the only organization which lost two players. Arguably they lost the two best players as well. So how will a team like Venture, that you often see in the top of team events, continue from here on out? To answer this, I reached out to the squad captain Harni. It's a pity, because two very talented and truly two of the best players out of the TM Tech scene left us with that. No matter how reliable and loyal players are, such an offer is simply impossible to turn down for every TM player as we saw. For our team there's no difference going into TM Open, the players have to train as usual and we'll continue as during the last tournaments, trying to aim for top results. Surely, it won't be that easy to compensate the loss of two top players, but we'll continue to work hard as a team. As well, I am curious if the Sampi players will be allowed to play team tournaments with other teams. I guess the future will tell us. At this point I can only wish Dutchy and MathiCs all the best in their new organization, which hopefully will stick longer to Trackmania, than the average. Another team that is missing a player now, is Planetkey Dynamics. You could argue that losing Kappa don't affect much of their team performance overall, as Kappa has been more or less inactive for a year. However they lost their biggest profiles, and the last player from PkD to have a major solo win. This is what link had to say about losing Kappa, and where Planetkey Dynamics goes from here. Im happy for him, that he has new projects and to see him active again. I wish him and Sampi team best of luck! It's of course sad to lose such an important person, one of the best players in the last years. After his win in Gamers Assembly last year, he dropped off on motivation and decided to stop playing online tournaments. So for us it won't change too much on the online aspect. We will keep on going in the next team tournaments, with new recruits. In the recent years we have seen aAa dropping their tech line up, and just keeping Kronos as a player for LANs. But they still lose the player you associate with the organization, and a player who could give them a spotlight at LAN events. The biggest impact we see from Team Sampi joining, is eSuba. With tween being their major profile after hakkiJunior became inactive, many have believed that tween was the only reason as to why eSuba still were in Trackmania. And this turned out to be true. After tween leaving eSuba for Team Sampi, eSuba has decided to disband their line up. You can read more on that in the article below. Read more about eSuba leaving Trackmania in one of our other articles! So as you can see, Team Sampi joining Trackmania has changed stuff we've been used to. But seeing a new organization with passion for e-sport and the game join, as well as offering the players support that is more or less unrivaled in the game as of right now is amazing. Personally I am positive to the news about Team Sampi joining, and will continue to think so, until I am proven otherwise. What do you make of Team Sampi joining? And how will the players do at Giant Cup 2018 and Trackmania ProLeague at Paris Games Week?